This product is being offered â€œas isâ€� which means no warranty, no returns, and no exchanges. The recirculation tube has been stitch welded. 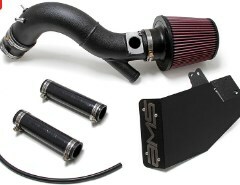 The AMS EVO X Performance Intake removes clutter and simplifies your engine bay while adding horsepower!